After our last book club pick, The Dinner by Herman Koch, turned out to be a complete dud, it was nice to read a book that everyone seemed to enjoy and that stimulated a good discussion. Andy Barber is a district attorney in an upscale suburban area of New England. When the town is rocked by a shocking crime, Andy becomes involved in an investigation that takes a turn he never expected...in the direction of his own teenaged son. The twists and turns of the investigation and subsequent trial kept me hooked until the very end. 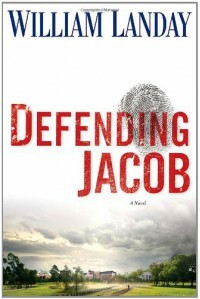 I'm a sucker for legal fiction a la John Grisham, and this is a great example of that. I declare this a very satisfying read.